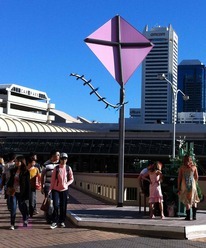 Decorated by Rose Skinner and Christchurch Grammar. 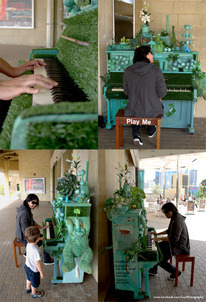 a little bit of "Zero Sum" for the on lookers... meanwhile, "Hello little man, help me play a tune..."
- Photo taken by Gun Photography. 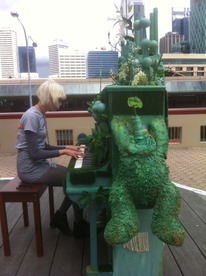 Thought we'd have a bit of fun at the Awesome Pianos. Josh Crane on dance duties. Shot and edited by Christopher Kenworthy. A quick tune from a Voltaire Twin...nice! 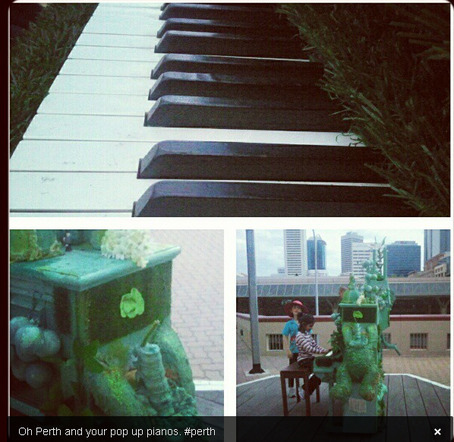 Couple giving each other piano lessons! 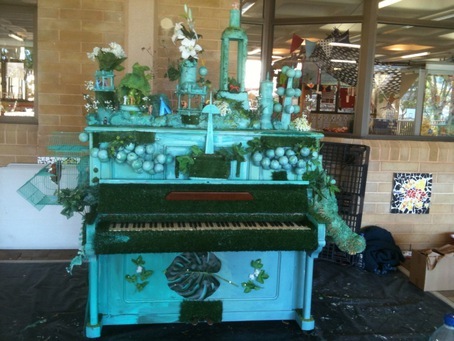 A sneak preview of the wonderful piano decorated by Rose Skinner and Christchurch Grammar.